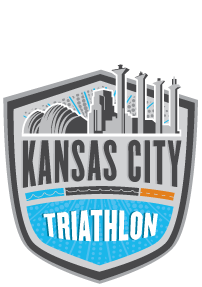 Scotty Tris: Race Preview: Kansas City Triathlon! My first triathlon of 2013 is almost here! I did this back in 2011 as my very first triathlon. I don't think I ever hesitated in registering for it this year because I was anxious to get back into multi-sport after a full year dedicated to running. I also didn't expect that winter would hold on so tight that the decision to wear a wetsuit is a no brainer. Seriously, it was snowing two weeks ago. The only decision this year is to either do the Kansas 5150 or the Kansas City Triathlon It took longer than I would expect for KC Tri to open up registration as there was a question to whether it would even be held since the website was still listing last year's registration link while it was January this year. I'm hoping that proves to be a good thing. I'm hoping all those super competitive triathlete types had signed up for the Kansas 5150 in Lawrence so I get a chance at a decent spot in the ranking. Either way, I still don't expect any podium spots. The race will take place on the last day of week 7 of my Ironman Training program. I've completed all workouts on the plan up until this week as I'm going to take the rest of the week off but maybe an easy short run tomorrow AM. Last night I got an awesome brick workout in that boosted my confidence for this weekends race. After a hard 16 miles on the bike and then a hard 2 miles, I really felt like I could manage the transition. I'm just going to hold out hope for the swim. Swim: 1,500 Meters - 25 Minutes. I did nearly 30 minutes in 2011 but I feel my swim has improved a lot this year. Bike: 26 Miles - 1 hour, 18 minutes or 20 mph. The hills will be brutal but if the wind is calm, I think I can manage this. Hydration and nutrition will be key here. I averaged 17.5 mph with Drew on Saturday for three laps while on my road bike and in wind. I'm hoping 20 mph for two laps on my tri bike. It's hard to compare this to 2011 19.2 mph pace because that was a different course with less hills (but more turns). It was also a shorter course in 2011. Run: 10k - 48 Minutes or 7:45 pace. In 2011, I did this with an 8:55 pace so I'm definitely expecting a boost. This will all be about managing my nutrition and getting settled into my pace on the bike. So I'm looking at a 12 minute improvement of 2 hours and 34 minutes over 2011 even considering a longer bike course this year.